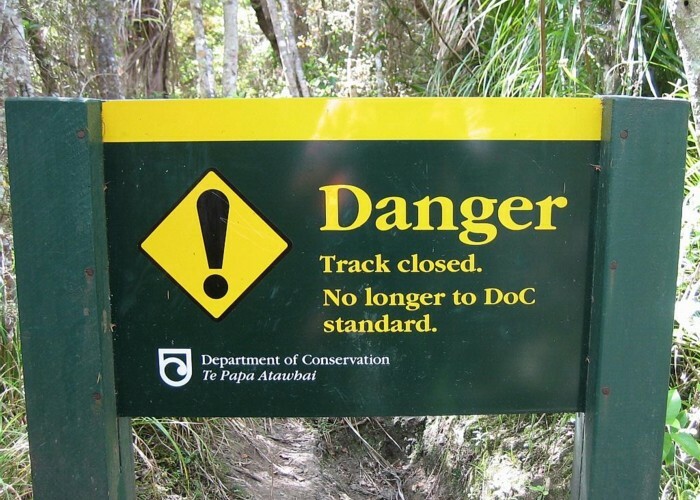 This sign is on the old Mt Manaia track at Whangarei Heads. But I thought there would be many tracks around the country that are not up to the DOC standard. Added 20 April 2012 by iangeorgeiangeorge. No revisions.